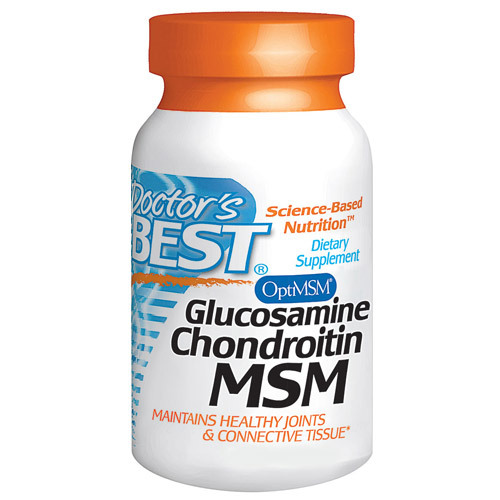 Doctor`s Best Glucosamine Chondroitin & MSM is a synergistic complex of high quality nutrients. Cartilage contains connective tissue composed of cells (chondrocytes), protein fibers (chiefly collagen) and clusters of complex molecules called "proteoglycans." Proteoglycan molecules are formed from long proteins (polypeptides) with numerous side chains. (The proteoglycan structure looks like a bottle brush). The attached side chains, chiefly chondroitin sulphate and keratin sulphate, are long polysaccharide molecules called "glycosaminoglycans". Cartilage contains collagen fibers embedded within a gel-like matrix known as "intracellular cement." Proteoglycans are the key structural component within this matrix. Chondroitin sulphate and the other glycosaminoglycans have a strong attraction for water, due to negative charges on their sulphate groups. These negative charges also repel each other, creating spaces between glycosaminoglycan side-chains in the proteoglycan molecule. Water enters the spaces, giving cartilage a sponge-like quality that allows it to function as a shock absorber for joints. The movement of water in and out of cartilage allows nutrients to flow in and wastes to flow out. Glucosamine is also a component of hyaluronic acid, another glycosaminoglycan found in cartilage and other connective tissues. Hyaluronic acid forms the backbone for the proteoglycan clusters. As essential components of cartilage, glucosamine and chondroitin sulphate may help support and maintain healthy joints. The human body requires a continuous supply of usable sulphur, and MSM is one of the primary organic sulphur-containing molecules for use by living organisms. From life`s earliest beginnings, primitive marine organisms (blue-green algae and phytoplankton) have absorbed inorganic sulphur from ocean waters and produced organic sulphur molecules, primarily dimethyl sulfonium salts. These salts are released back into the sea, where they are converted to dimethyl sulfide, which readily evaporates into the upper atmosphere. Dimethyl sulfide is then oxidized by UV light, forming DMSO and MSM. The two compounds are delivered to land masses in rain water, and absorbed by plants. MSM is a stable end-product of this process, serving as a primary source of sulphur in the food chain. Take two capsules twice daily, with or without food. 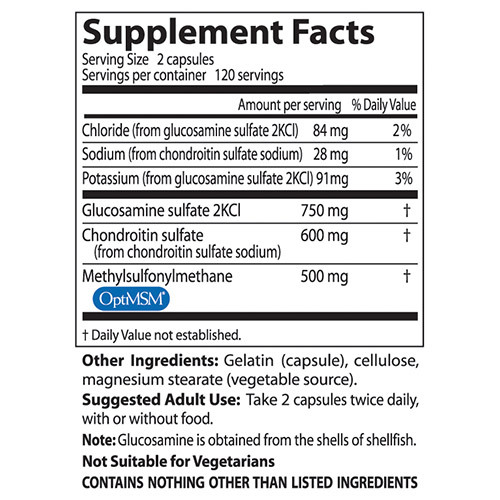 Glucosamine is obtained from the shells of shellfish. Below are reviews of Glucosamine Chondroitin & MSM - 240 Capsules by bodykind customers. If you have tried this product we'd love to hear what you think so please leave a review. No complaints at this stage. excellent and I have used it for several years. Taken for Arthritic knee, have seen good improvement! 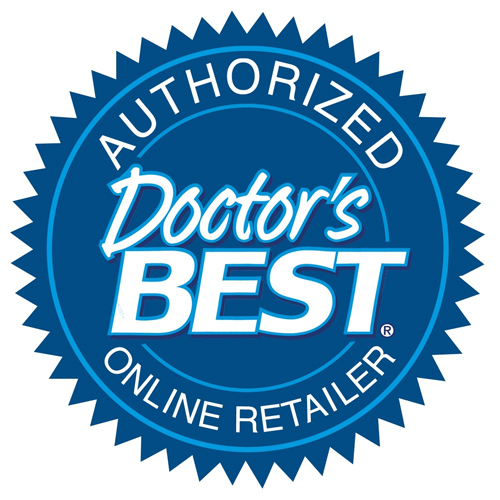 Doctor`s Best Glucosamine Chondroitin & MSM is a synergistic complex of high quality nutrients essential for supporting healthy joints.